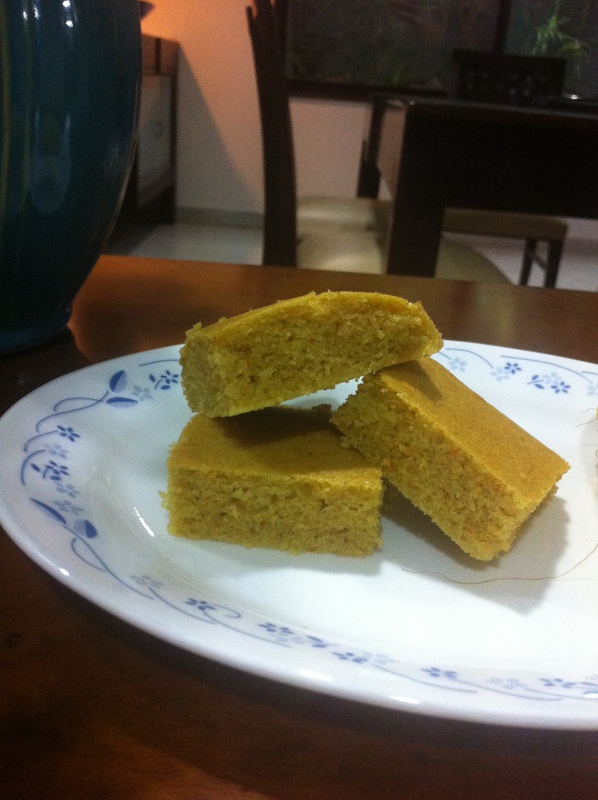 Here’s something really nice, sweet and healthy. 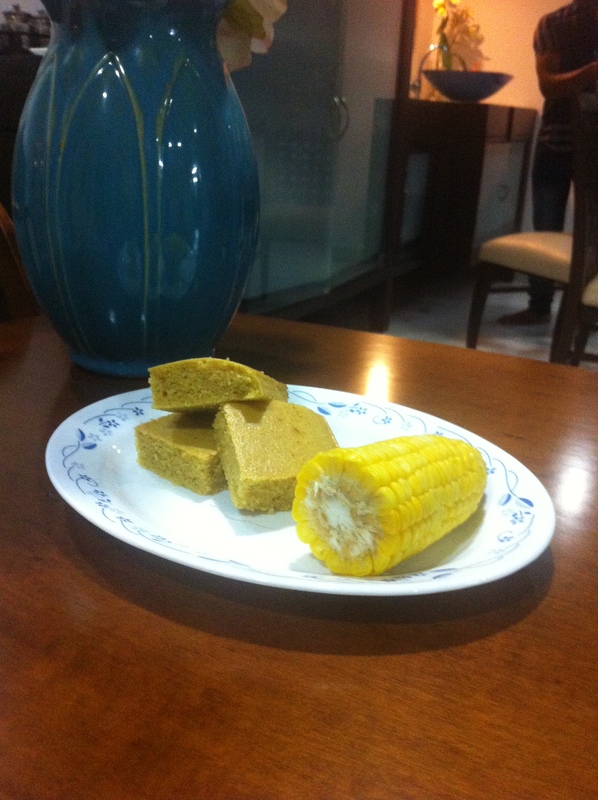 Whether you are a corn or cornmeal fan or not you will love this tea snack!!!! 1. Preheat oven to 375 degree fahrenheit (175 decree celcius). Grease an 8″ square pan. 2. Melt butter in a large skillet. Remove from heat and stir in sugar. Quickly add eggs and beat until well blended. Combine buttermilk with baking soda and stir into mixture in a pan. Stir in cornmeal, flour and salt until well blended and few lumps remain. Pour the batter in into prepared pan. 3. Bake in preheated oven for 30-40 minutes or until a toothpick comes out clean. 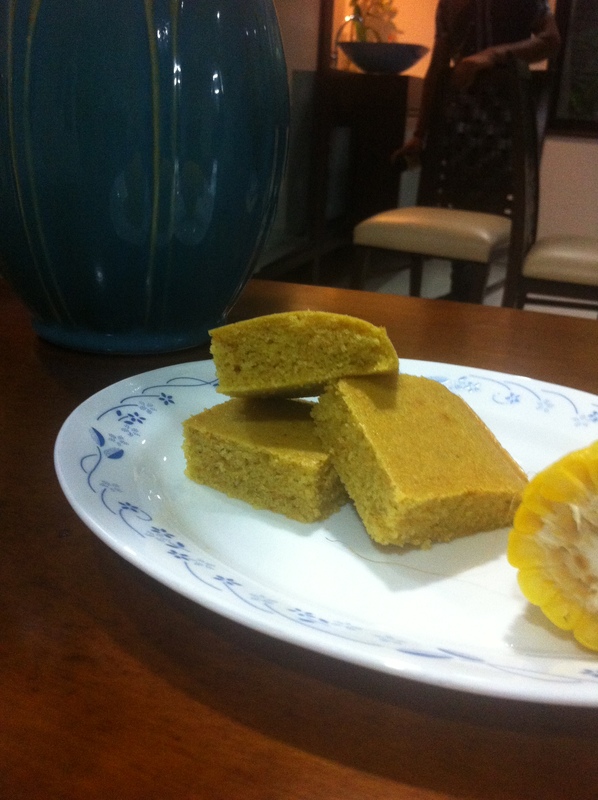 Enjoy this Buttermilk Cornbread with tea or just like that!!!! hey there and thank you for your information – I have certainly picked up something new from right here. I did however expertise some technical issues using this website, since I experienced to reload the site lots of times previous to I could get it to load correctly. I had been wondering if your web host is OK? Not that I’m complaining, but slow loading instances times will often affect your placement in google and can damage your high-quality score if ads and marketing with Adwords. Anyway I’m adding this RSS to my e-mail and could look out for a lot more of your respective interesting content. Make sure you update this again very soon..
Hey! I know this is kinda off topic however I’d figured I’d ask. Would you be interested in exchanging links or maybe guest writing a blog post or vice-versa? My website covers a lot of the same subjects as yours and I feel we could greatly benefit from each other. If you are interested feel free to send me an email. I look forward to hearing from you! Awesome blog by the way! to other viewdrs tht they will assist, so heere it occurs. What i don’t realize is actually how you’re no longer actually a lot more neatly-liked than you may be now. You are very intelligent. You already know therefore significantly with regards to this matter, made me in my view believe it from so many varied angles. Its like women and men are not fascinated until it is one thing to accomplish with Woman gaga! Your personal stuffs great. At all times care for it up! It’s a shame you don’t have a donate button! I’d without a doubt donate to this superb blog! I guess for now i’ll settle for book-marking and adding your RSS feed to my Google account. I look forward to brand new updates and will share this website with my Facebook group. Chat soon! Thank you for sharing excellent informations. Your website is so cool. I’m impressed by the details that you have on this website. It reveals how nicely you understand this subject. Bookmarked this web page, will come back for extra articles. You, my pal, ROCK! I found just the info I already searched all over the place and simply could not come across. What a great site. hello!,I really like your writing so so much! percentage we keep in touch extra approximately your post on AOL? I need a specialist on this area to unravel my problem. May be that’s you! Having a look ahead to see you. You could certainly see your enthusiasm within the paintings you write. The arena hopes for more passionate writers like you who aren’t afraid to say how they believe. At all times follow your heart. Greetings from Carolina! I’m bored at work so I decided to browse your site on my iphone during lunch break. I really like the info you provide here and can’t wait to take a look when I get home. I’m shocked at how fast your blog loaded on my mobile .. I’m not even using WIFI, just 3G .. Anyhow, great site! I am now not certain the place you are getting your information, but great topic. I needs to spend a while studying more or working out more. Thanks for fantastic info I was searching for this information for my mission. Good ¡V I should definitely pronounce, impressed with your website. I had no trouble navigating through all tabs as well as related info ended up being truly easy to do to access. I recently found what I hoped for before you know it at all. Reasonably unusual. Is likely to appreciate it for those who add forums or anything, web site theme . a tones way for your customer to communicate. Nice task..
Wow! This could be one particular of the most useful blogs We have ever arrive across on this subject. Basically Excellent. I am also an expert in this topic so I can understand your effort. Great ¡V I should definitely pronounce, impressed with your web site. I had no trouble navigating through all tabs as well as related info ended up being truly easy to do to access. I recently found what I hoped for before you know it at all. Reasonably unusual. Is likely to appreciate it for those who add forums or anything, web site theme . a tones way for your client to communicate. Nice task..
hey there and thank you for your info – I’ve definitely picked up anything new from right here. I did however expertise some technical issues using this website, as I experienced to reload the web site a lot of times previous to I could get it to load correctly. I had been wondering if your web host is OK? Not that I am complaining, but sluggish loading instances times will very frequently affect your placement in google and can damage your high-quality score if advertising and marketing with Adwords. Well I’m adding this RSS to my email and can look out for much more of your respective interesting content. Make sure you update this again very soon..
I’m curious to find out what weblog platform you may have been utilizing? I’m getting some modest security complications with my most up-to-date web site and I’d prefer to obtain a thing more risk-free. Do you’ve got any suggestions? I as well as my buddies have been looking at the good techniques found on the blog and so at once I got an awful suspicion I never expressed respect to you for those tips. My young men came joyful to study them and already have certainly been tapping into these things. Thank you for turning out to be really thoughtful as well as for choosing these kinds of perfect resources millions of individuals are really eager to be aware of. My very own sincere regret for not expressing appreciation to earlier. you are in reality a just right webmaster. The web site loading speed is incredible. It kind of feels that you’re doing any distinctive trick. Furthermore, The contents are masterpiece. you’ve performed a excellent process in this matter! Helpful information. Fortunate me I discovered your website unintentionally, and I am stunned why this twist of fate didn’t took place in advance! I bookmarked it. I wanted to send you that very small word to finally give many thanks again with the precious principles you have documented in this article. It has been simply shockingly generous of people like you to offer freely precisely what numerous people would have advertised as an e-book in making some dough on their own, most notably considering the fact that you might well have done it in the event you desired. The things in addition worked like a great way to be sure that other people have similar fervor just as my very own to realize a whole lot more on the topic of this issue. I know there are a lot more enjoyable opportunities in the future for many who discover your site. Whats Happening i’m new to this, I stumbled upon this I have discovered It absolutely useful and it has aided me out loads. I hope to contribute & help other users like its aided me. Great job. Wonderful web site. Lots of helpful information here. I am sending it to several friends ans additionally sharing in delicious. And naturally, thank you for your sweat! Hey there! I’ve been reading your blog for a long time now and finally got the courage to go ahead and give you a shout out from Lubbock Tx! Just wanted to mention keep up the good job! I considered this was a really excellent blog article. I usually like reading content articles like this one. I should endure more of one’s posts. I have read a few excellent stuff here. Certainly value bookmarking for revisiting. I surprise how a lot effort you set to make the sort of magnificent informative website. Thank you a lot for giving everyone an extremely brilliant possiblity to read articles and blog posts from this site. It is often very pleasant and as well , packed with amusement for me personally and my office peers to search your blog on the least 3 times in one week to learn the newest tips you have got. And of course, we are usually fascinated with your powerful tips served by you. Certain 3 ideas in this posting are absolutely the most suitable we’ve ever had. Always a large fan of linking to bloggers that I like but do not get a whole lot of link enjoy from. Thanks a bunch for sharing this with all people you really recognise what you are speaking about! Bookmarked. Kindly also discuss with my web site =). We can have a link trade contract among us! Hiya very cool website!! Man .. Beautiful .. Amazing .. I will bookmark your site and take the feeds additionally¡KI am happy to find so many useful info here within the publish, we need develop extra techniques in this regard, thank you for sharing. . . . . .